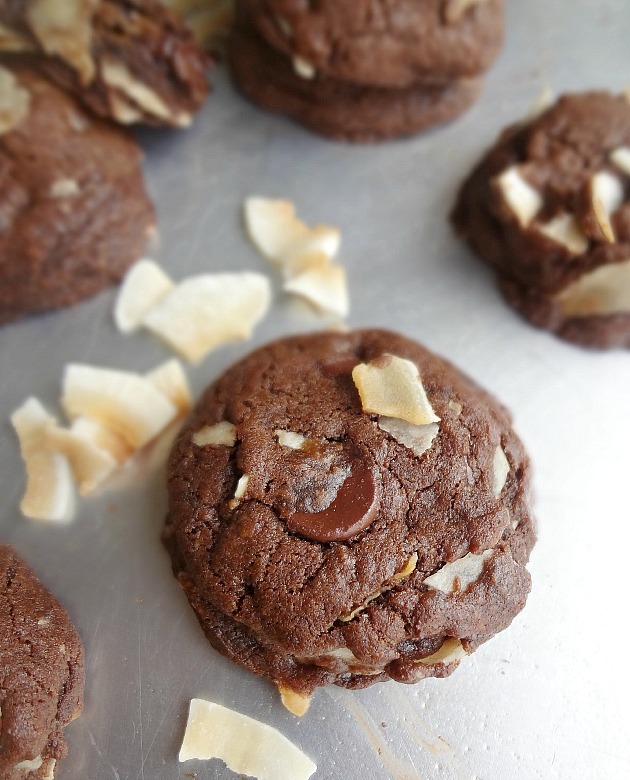 The Cooking Actress: Double Chocolate Chip Cookies with Toasted Coconut-Zainab of Blahnik Baker's Baby Shower! 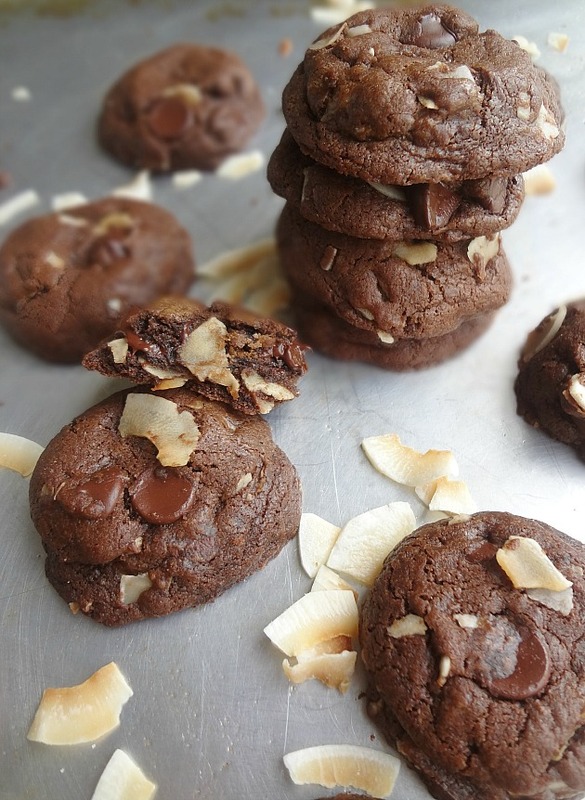 Double Chocolate Chip Cookies with Toasted Coconut-Zainab of Blahnik Baker's Baby Shower! In my years of blogging I have never had a close friendship develop so quickly as my friendship with Zainab of Blahnik Baker has. She is literally one of the sweetest people I've ever known. She is endlessly supportive, giving, funny, smart, and kind. I am so lucky to have "met" her (someday it will be in real life and no longer needing quotation marks for "met"!) And I am SO excited for her because SHE'S HAVING A BABY!!! And Zainab is going to be such an incredible mom, and just some of the reasons why are the ones I just listed (her hubby is going to be a great dad too, btw). 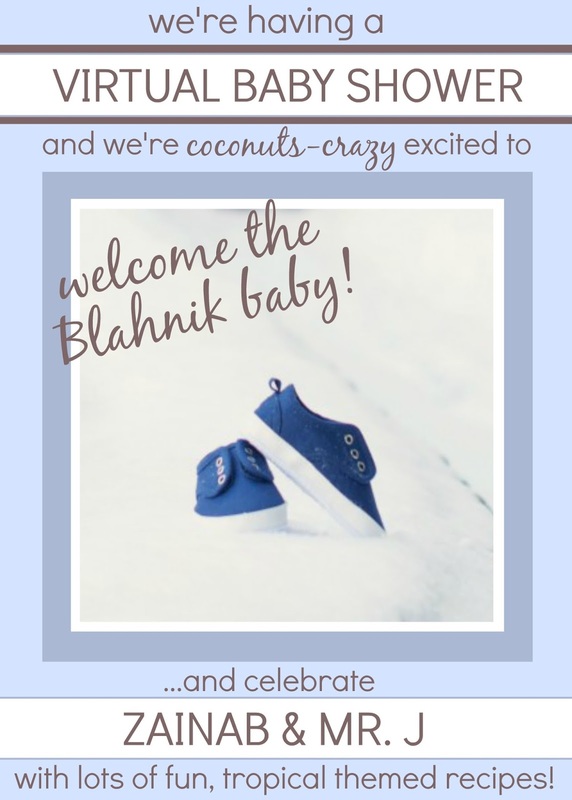 Zainab supported me with guest posts when I moved and when I was busy wedding planning so of COURSE I had to be a part of her SURPRISE VIRTUAL BABY SHOWER! I'm so excited that my first official recipe that I'm sharing post wedding is for Zainab and the celebration of her becoming the sweetest momma ever! And-since Zainab loves all things coconut-we decided to only share coconutty treats for this "party"! Up until semi-recently I wasn't a huge fan of coconut (with the exception of Samoas). But I have learned that, especially when toasted, I loooooove coconut. And it pairs so deliciously with chocolate. And...I love cookies. And cookies are my go-to when I'm bringing a treat to a party, like..oh say a baby shower! Which is why I threw together these lovelies! 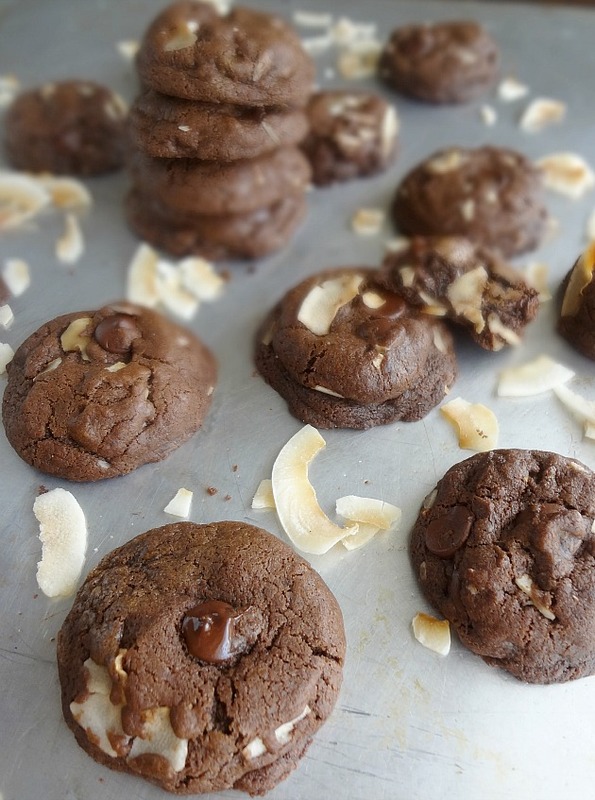 These cookies are sturdy (so they're perfect to ship to loved ones or to bring to a paaaarty) and super chocolatey (and-when warm-deliciously gooey). 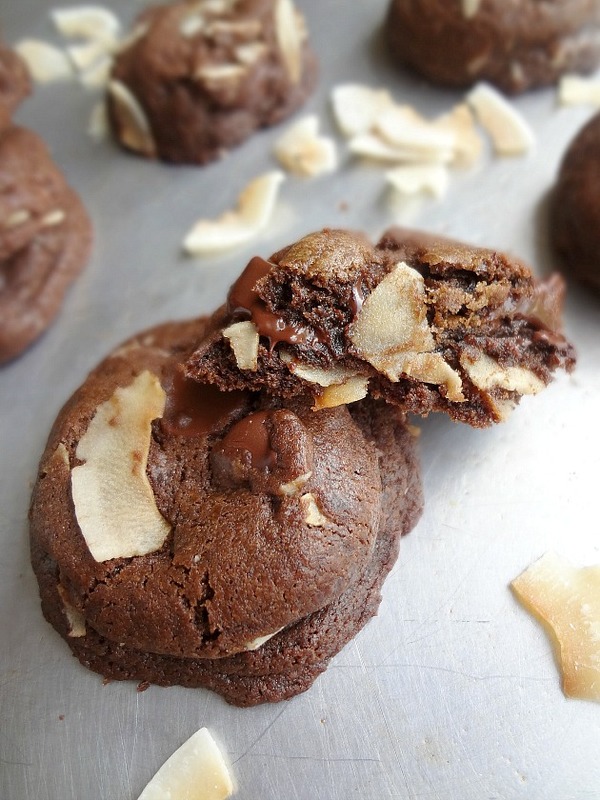 They're made a smidge healthier thanks to the fact that we're using coconut oil instead of butter (mo' coconut=mo'betta!) and the toasted coconut flakes REALLY make them special! There's all kinds of delicious textures and they were a big hit with Michael's friends...Michael...and me! I know Zainab would like them too and so will you! 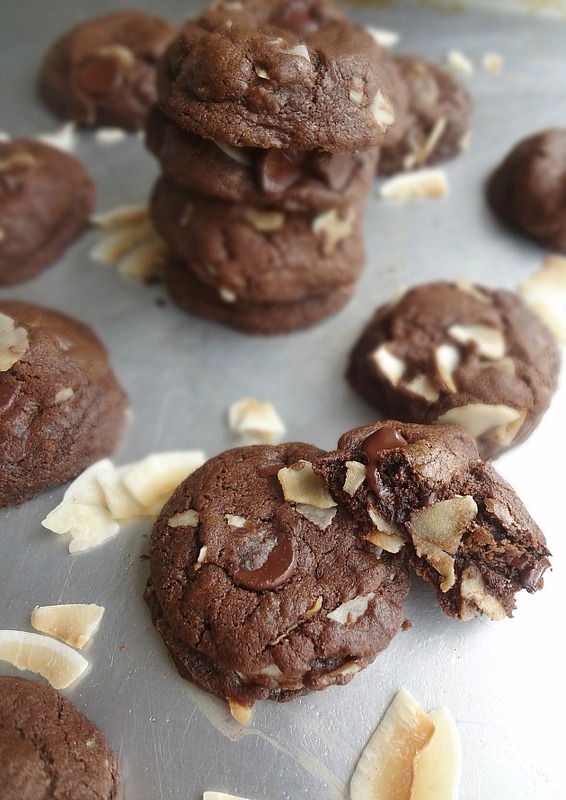 Adapted from Ambitious Kitchen's "Chewy Double Chocolate Chip Cookies with Sea Salt"
Makes approx. 2 dozen cookies. Preheat oven to 350F degrees. Prepare a large baking sheet by spraying with nonstick cooking spray or lining with parchment paper or silicone baking mat. Whisk together flour, cocoa powder, baking soda and salt; set aside. In a large bowl, beat cooled coconut oil, brown sugar, egg, vanilla and coffee (if using) until creamy and smooth; about 1-2 minutes. Add in flour mixture mix until combined. Fold in chocolate chips. Roll into small-medium sized dough balls (or use a medium cookie scoop) and place on the prepared baking sheet(s) leaving at least 1 inch. of space in between. Bake 8-10 minutes (9 minutes is generally perfect). Cool on cookie sheet for a few minutes then transfer to wire rack to finish cooling. Store leftovers in an airtight container for up to 5 days. Check out all the other treats shared for Zainab's shower!